Today, cats are becoming more and more important, and the design of quad seal cat snack bag has become very important. Of course a good quad seal cat snack bag supplier is more important who will realize your design perfectly. Believe our factory Weihai Woda New Material will be your good choice. Quad seal cat snack bag, also known as corner seal cat snack bag, has seals off to the four corners of the bag. 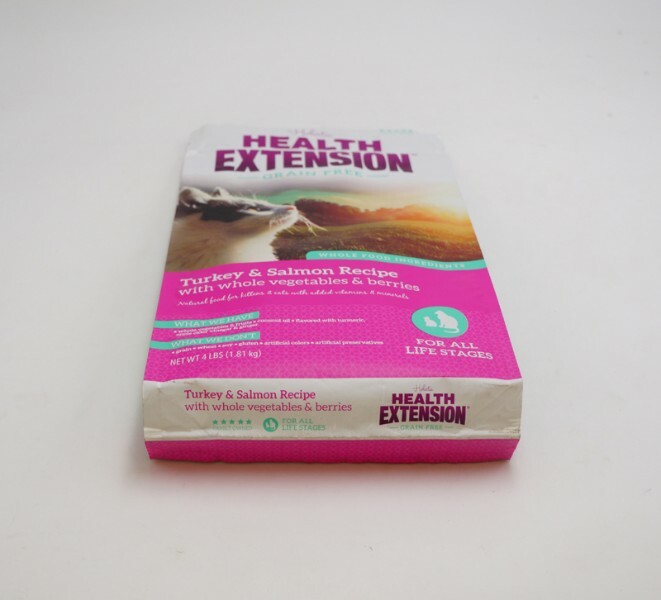 This gives bag a reinforced structure and helps the filled quad seal cat snack bag hold its shape better on the shelf. With the absence of a back seal, you can enjoy uninterrupted front and back panels for greater flexibility on label. Color: CMYK + Pantone colors + White, registered matt or glossy is available. Packing detail: 50pcs in one bundle in export standard carton with PE liner and palletized. Sample: Free samples can be offered for quality check and size test. Delivery time of samples: Within 48 hours without your own logo. If customized samples with your own logo please contact us for more details. Optional elements: Hang hole, zipper, tear notch, clear window, high barrier etc. All above mentioned is according to the item we show here. Welcome your customized requirement with your unique design. 1. Quad seal cat snack bag can be equipped with consumer convenience features, such as a zipper among other options. 2. 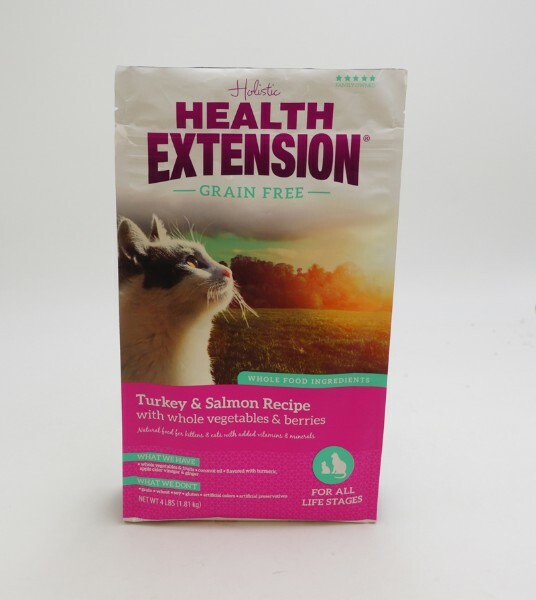 Quad seal cat snack bag include seals on all four corners, which gives the dimension to pouch and helps maintain its shape better when filled. 3. 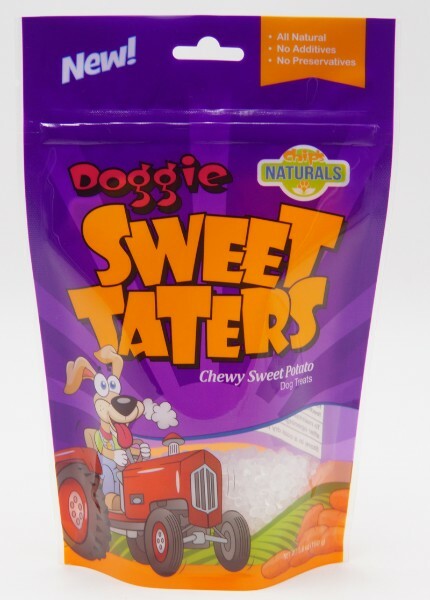 Quad seal cat snack bag holds more and is ideal for packaging heavier products. 4. 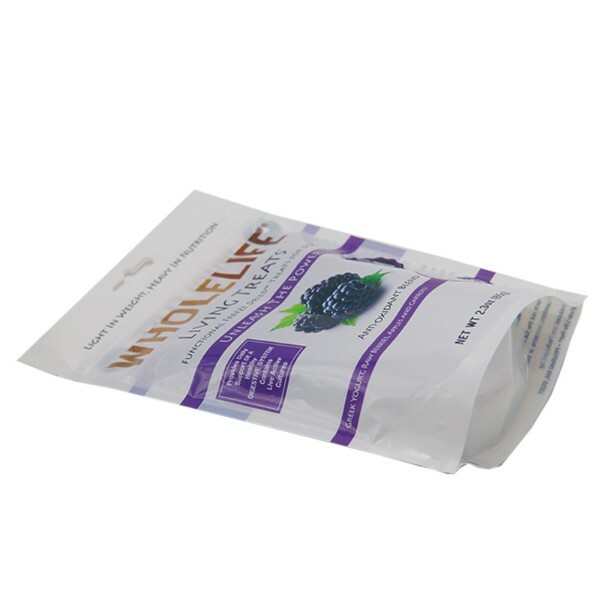 Quad seal cat snack bag takes up less shelf space and is an eco-conscious choice. 5. 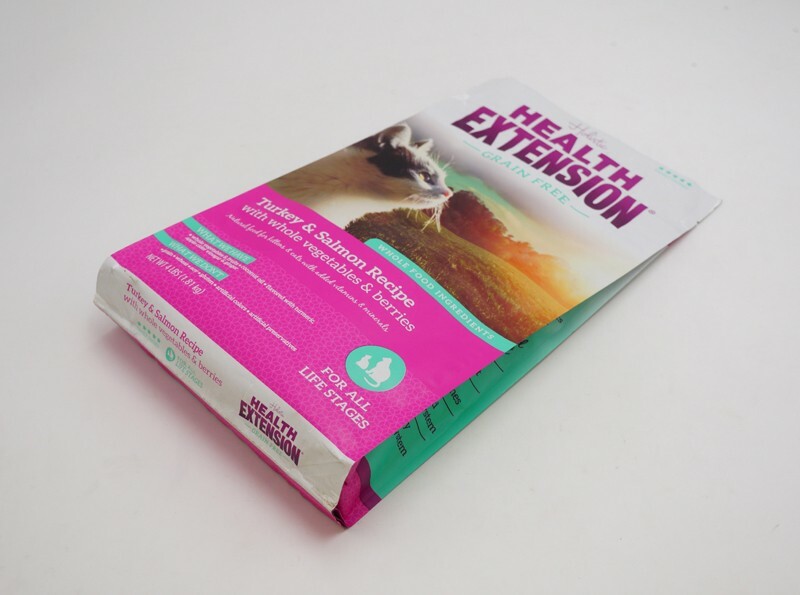 Quad seal cat snack bags enable printing on all four sides of the pouch, which increases shelf appeal and distinguishes your product from the competition. 1. 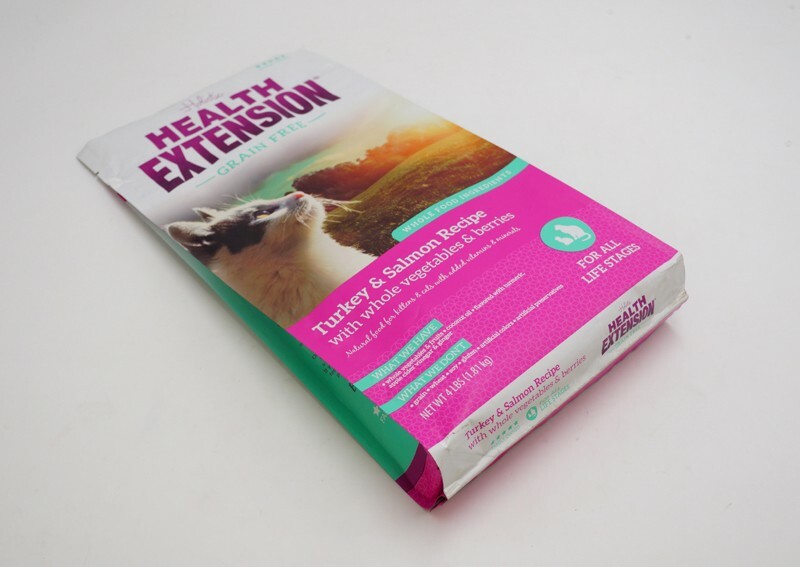 Our quad seal cat snack bag can also apply a zipper on the top, it will stay fresh until the bag is empty. 2. 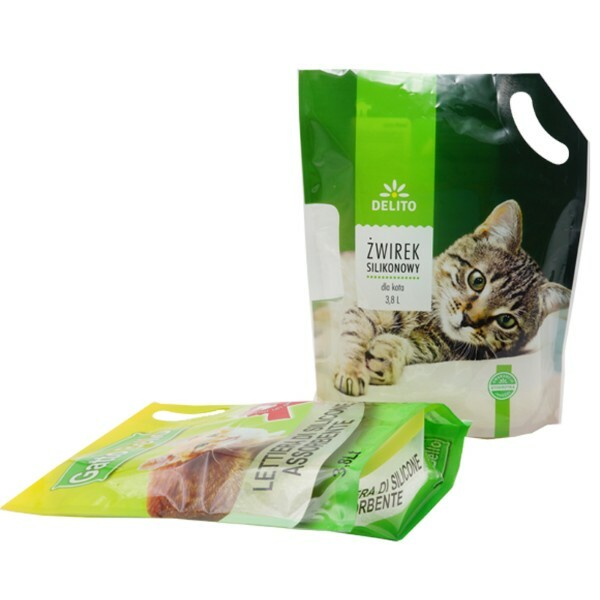 Our quad seal cat snack bag is easy to store, comfortable to hold and ready to use by customers. 3. 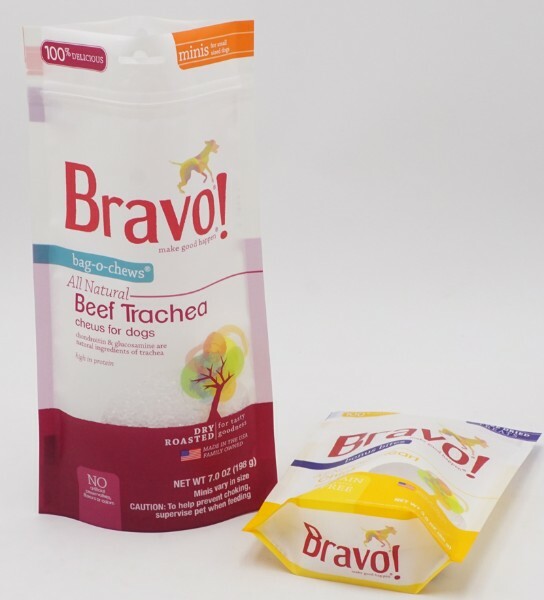 Attractive appearance, our quad seal cat snack bag will easy to catch consumer’s eyes. 3. 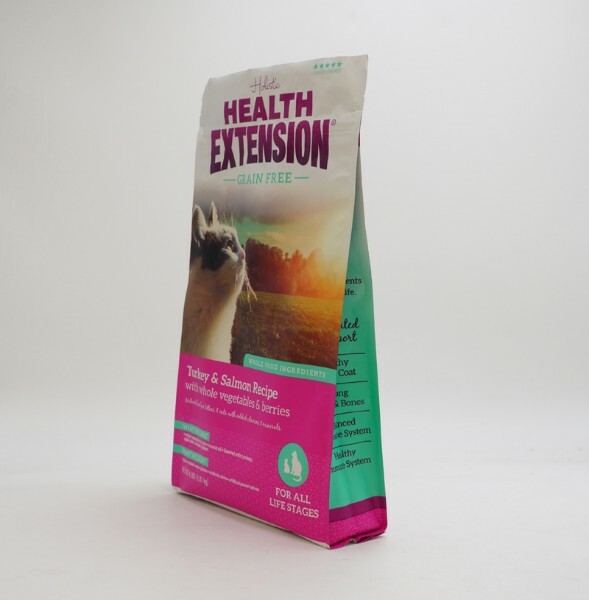 Our high quality quad seal cat snack bag extend the shelf-life of the products retaining its flavor and aroma. 4. We use gravure printing technology to create the latest and unique design of quad seal cat snack bag, you can choose up to 11 colors for your quad seal cat snack bag. Weihai Woda owns 5 film belowing machines to ensure the large quantity film requirements. And experienced workers can assure the special requirement quality on different usage. For example, high barrier or frozen used material etc. Our company owns the leading highspeed gravure printing presses. The machine is fully automatic computer control, with precision overprint that can maximize the effect of artwork to achieve the desired effect of the customers. Weihai Woda New Material Co., Ltd. uses advanced solventfree composite technology, with high efficiency (400m/ min), environmental protection, energy saving advantages, further enhance the quality of products, to create better value for customers. 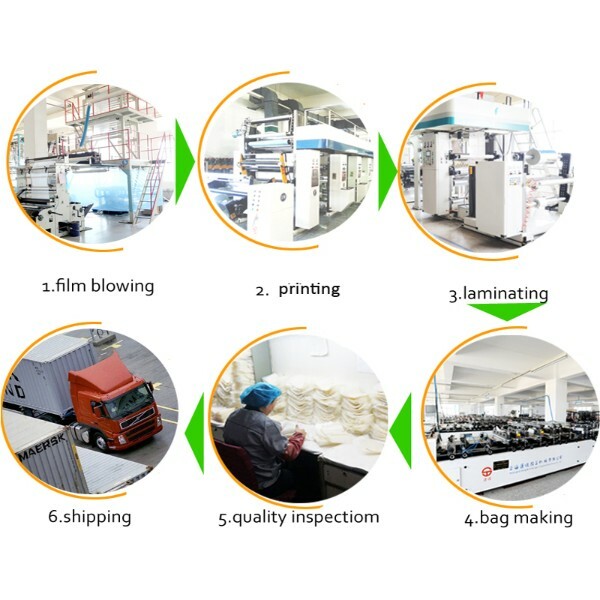 We have total 20 automatic bag machines to provide customers with 3 side sealed bag, stand up zipper bag, back sealed bag, spout pouch, flat bottom box pouch and various functional bags. This will meet kinds of special requirements from customers. Weihai Woda New Material Co., Ltd. imported the advanced highspeed inspection automatically machine from Japan, which can be controlled and operated by computer. It can pick out the quality flaws in production process. And all bags will be examined again by labor after bag making. The final products will be packed in export standard carton and palletized for shipment. 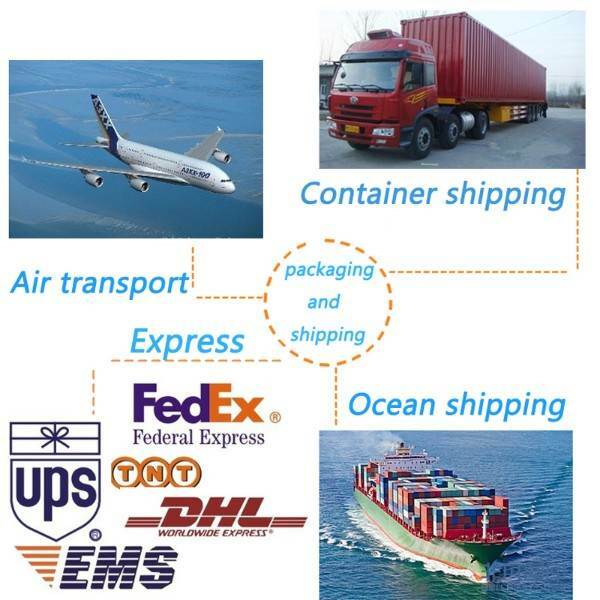 Various shipment ways are available according to customers' requirements. 1) 50/100pcs plastic bag in one bundle in export standard neutral carton with PE liner. 2) 400-5000 PCS/carton according to different requirements. 3) Carton Size: Customized or based on actual weight and volume. 4) Strong water-proof poly film or customized outer packaging. 5) Non-wooden pallet with stretch film outside to avoid any dust or dirty. 1）By courier like DHL,UPS, TNT, FEDEX etc, suitable for urgent time and small quantity. It is door to door, usually takes 3-7 working days. 2) By airplane, usually it takes 3-5 working days to get destination airport. 3) By LCL or FCL container, usually it takes 7-40 working days to get destination seaport, it’s suitable for regular large quantity orders with the most economic way. 4.) By railway to some inland region or countries in Asia or Europe is also available. 5.) We can also send the plastic packaging to customer’s other suppliers in China if any such requirement. 6.) The closest port is Qingdao. We can also quote with other port if any requirement. 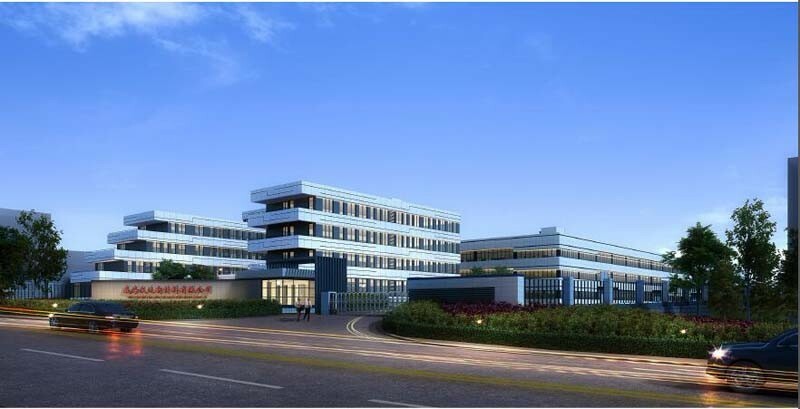 Weihai Woda New Material Co., Ltd. is located in Weihai, a beautiful coastal city in eastern China, and covers an area of over 30,000 square meters, with advanced technology, Japan's modern production equipment and well-trained team. 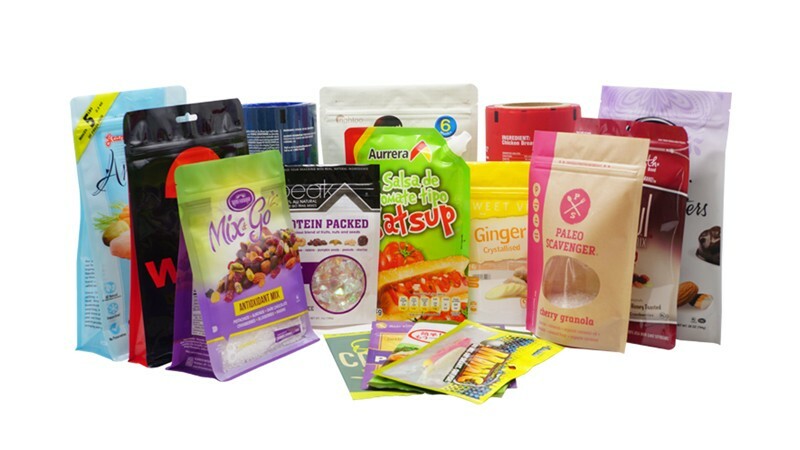 Since its establishment in 2001, dedicated to the production of various food packaging bags, snack food bags, pet food bags, coffee bags, tea bags, kraft paper bags, various Shaped bags and high quality color standard flexible roll stock. 1. Using the most advanced machines and equipment to produce products more quickly and with greater precision. 2. Professional design team to provide free design layout. 3. Over 17 years experience in plastic packaging field. 4. Customized specification according to your product. 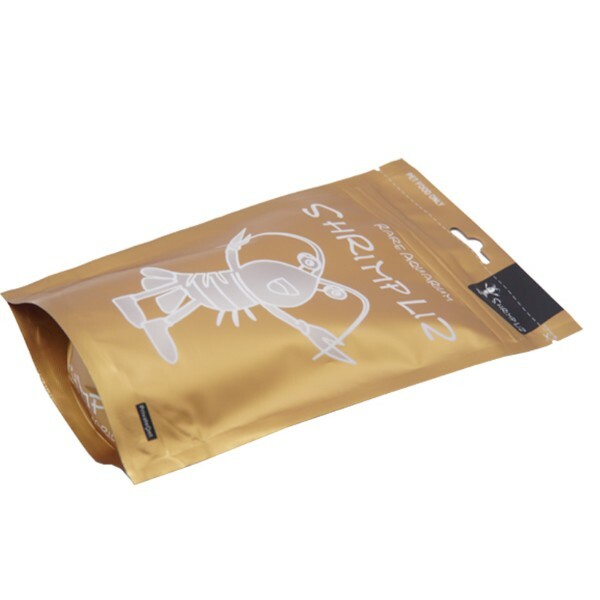 Our main products including: stand up pouch, box pouch, quad seal bag, 2-side seal bag, 3-side seal bag, bottom seal bag, spout bag, back seal bag and roll film. 1) Free sample can be offered for quality checking and bag size test. 2) Effective communication within 24 hours. 3) Long-term cooperated forwarder support export service. 4) Manufactures ready to be visited at any time. 5) High quality after-sales service. 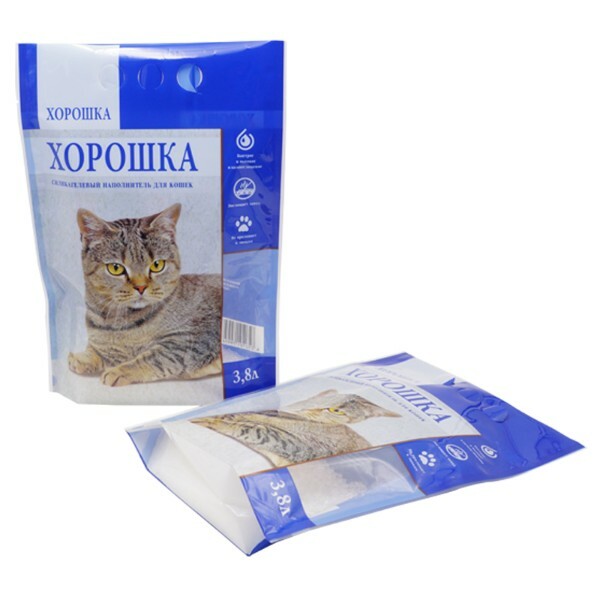 Quad seal cat snack bag is our company's main product. Let us know your product’s needs. Our professional team will work hand-in-hand with your team.Together we can determine the best solution for your packaging needs and accentuate your brand with optimal shelf impact. 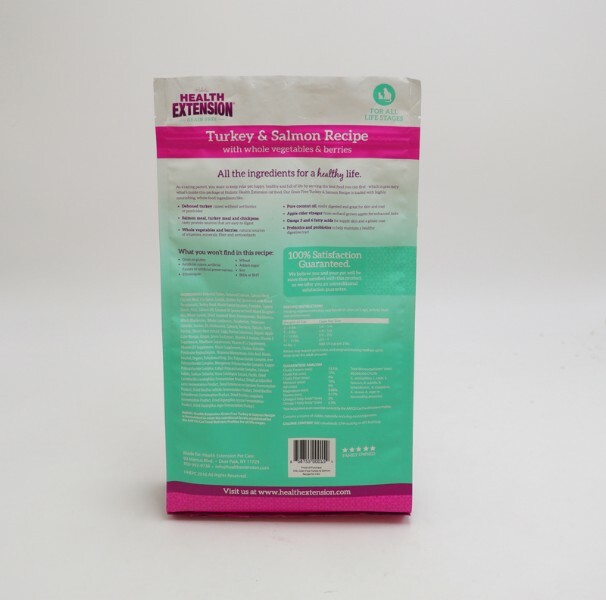 If you are interested in our quad seal cat snack bag , please contact us without hesitate.